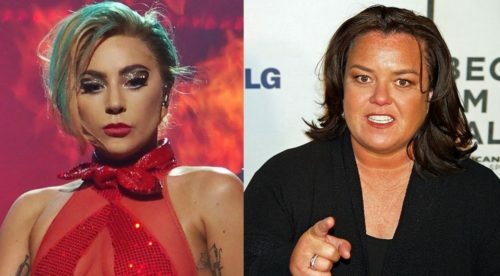 Lady Gaga and Rosie O’Donnell could be acting together in a Broadway revival of a Barbara Streisand classic. While opening for Randy Rainbow at a theater on Long Island, O’Donnell reportedly told the crowd that she and Gaga will be acting in a revival of Funny Girl. Another person who was there confirmed. I was there too. That was amazing. I couldn’t believe she was saying that. Gaga will reportedly take on the role of Fanny Brice, which was famously played by Streisand in 1964 on Broadway and in the 1968 film based on the play. O’Donnell will play her mother Rose. This will be the second time Gaga has taken on a role that was also played Streisand. A Star Is Born, released last week, starred Lady Gaga, and the 1976 version of the film starred Streisand.